spending time with family, eating (of course) and our family traditions. and some fun ones I found around the internet. In 2007, I put together this gratitude journal. 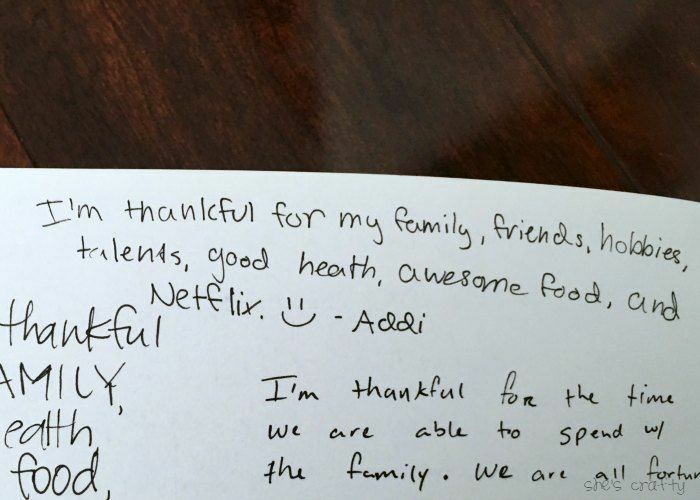 dinner at our house, writes what they are thankful for in our book. To make it, I gathered some paper, cut to 5x7. I used white cardstock inside and orange cardstock on the cover. I punched holes in the side, then tied various ribbons through the holes. I decorated to cover with various paper and embellishments. I love looking back at what everyone has written. 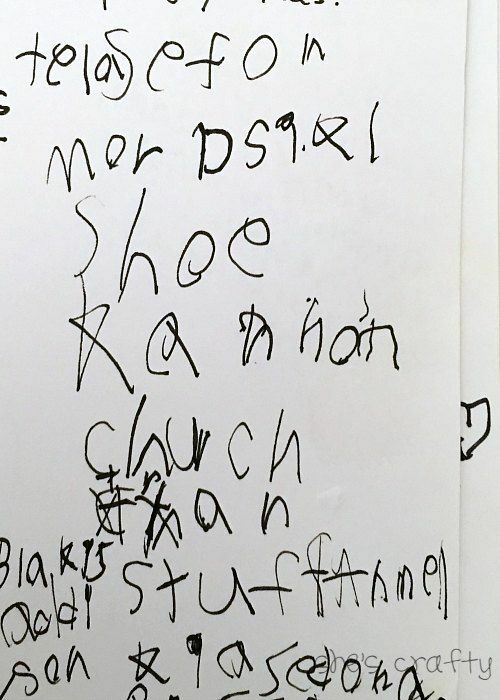 This entry is from my sweet girl 2 years ago. I love this entry from my oldest in 2007. 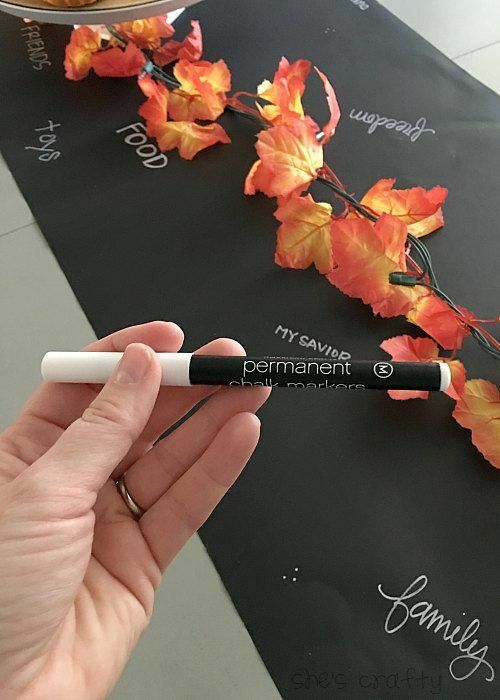 This year for my fall table, I used this chalkboard paper as a table runner. to add things we are grateful for. visual reminder of all of the things we have to be grateful for. I think the following ideas are pretty great ideas as well! 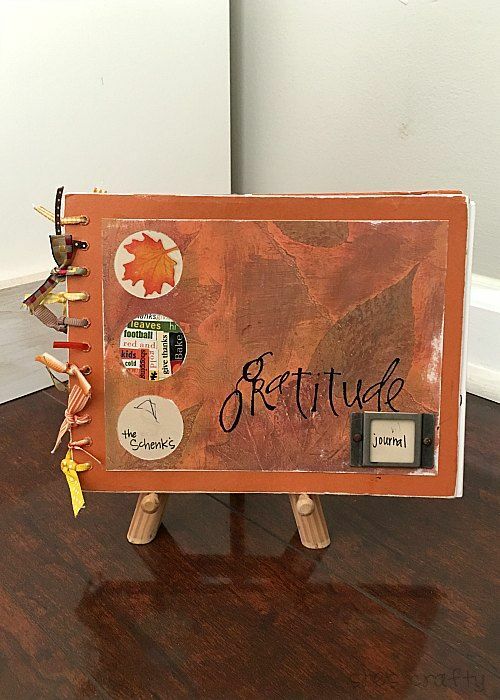 I love this idea for a thankful pumpkin . 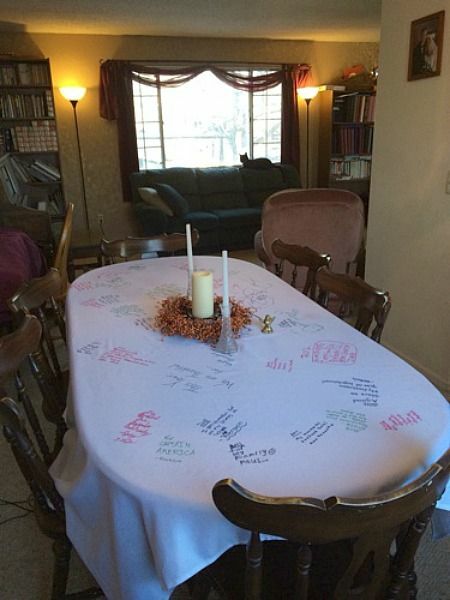 This thanksgiving table cloth is so cute! 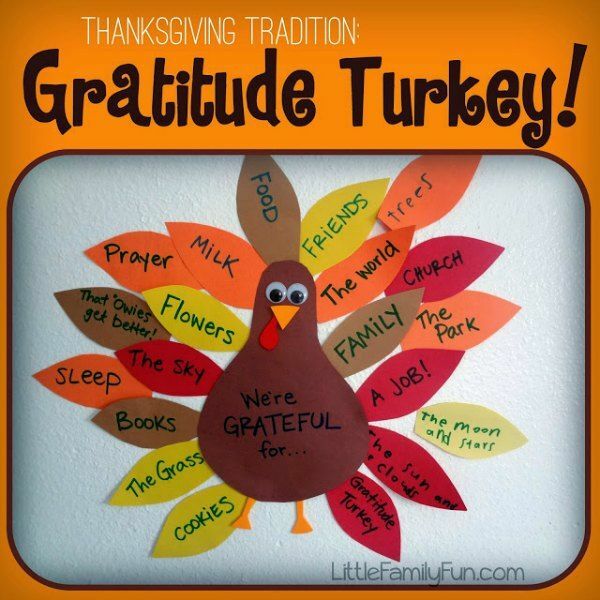 This gratitude turkey is adorable! 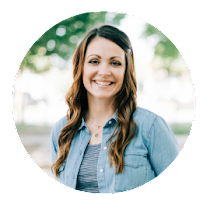 Here is a thankful leaves free printable! 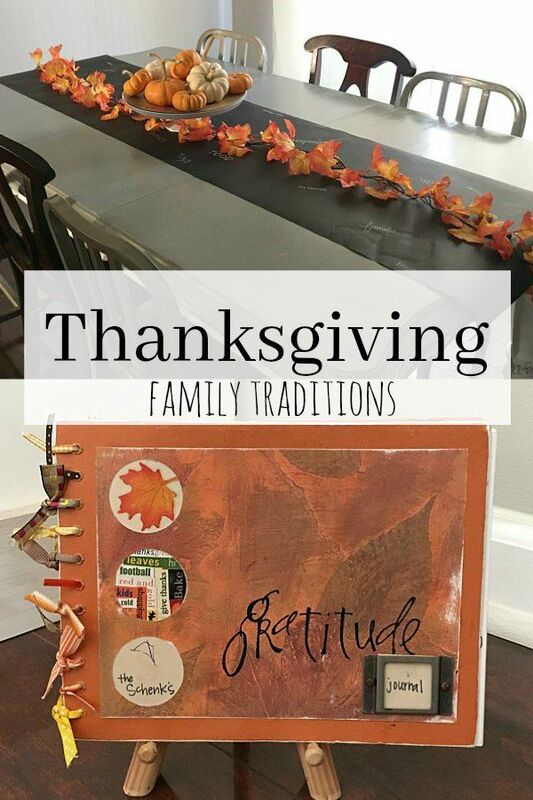 Hopefully you've found some great ideas to start family traditions in your home. 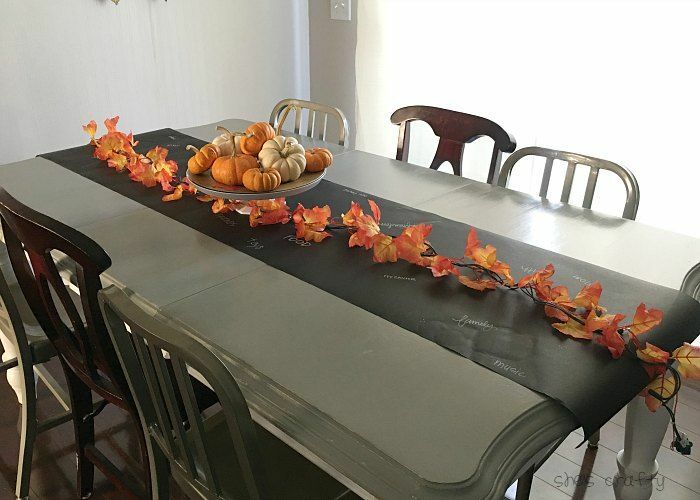 The chalkboard table runner is a really cute idea! We have written on placemats in the past but this is so fun! That chalkboard runner is super cool! I've never seen anything like that before! This is all so lovely! I love the idea of chalkboard paper for a runner! What a cute idea! I love the gratitude journal. What a great memory for the future too.